The debate on the rules of imputation of profits of the new business models born from the Digital Economy has gained speed during this quarter with the new OECD document for public discussion on the possible solutions to the tax challenges derived from “digitalization” and the requests for comments and public consultation made in what is already known as BEPS 2.0. On 13 February 2019, the OECD released a consultation document “Addressing the Tax Challenges of the Digitalization of the Economy”, which follows a policy note issued on 29 January 2019. A significant number of interested parties placed their comments on the discussion document by 6 March, as well as participated in the public consultation meetings hold in Paris on 13-14 March. The consultation document sets out four proposals under consideration by the members of the inclusive framework as they work towards reaching a new consensus-based long-term solution in 2020. Three proposals seek to expand the taxing rights of market/user countries in situations where value is considered to be created in that market/country of the user. 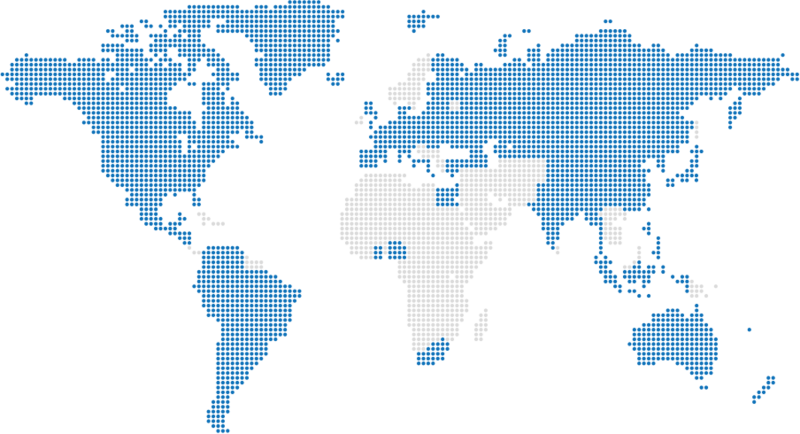 Any of the proposals will require changes to the allocation between countries of the right to tax profits (“nexus”) and the methods or mechanisms that allocate profits to business activities in different countries (“profit allocation”). This proposal defends that the profit allocated to a user jurisdiction, in respect of the activities/participation of users, be calculated through a non-routine or residual profit split approach. A proportion of the residual non-routine profits of the business or business line would be attributed to the value created by the activities of users, and allocated between the countries in which users are based using an agreed allocation metric. This proposal would modify current transfer pricing and treaty rules to require marketing intangibles and risks associated with such intangibles to be allocated to the market jurisdiction, regardless of which entity owns the legal title or performs DEMPE functions related to the marketing intangibles. The allocation of profits attributable to technology-related intangibles generated by research and development, or attributable to routine functions would be unchanged. Under this proposal, a taxable presence would arise where there is a purposeful and sustained interaction with the country through digital technology and other automated means that constitutes a significant economic presence. The allocation of profit to a significant economic presence could be based on a fractional apportionment method. The first element is an income inclusion rule that would tax the income of a foreign controlled entity or branch if that income was subject to a low effective tax rate: a shareholder with a significant (e.g. 25%) ownership interest in a foreign company would be required to bring into account a proportionate share of the income of that company, if that income was not subject to tax above a minimum rate. A complementary subject-to-tax rule to be incorporated into double tax treaties. The rule would deny the relief otherwise available to undertaxed payments under certain treaty articles (e.g. interest and royalty articles). The OECD initiative is a response to movements from some European Union (EU) countries to establish a pan-European Digital Services Tax (DST) or google tax (and with the risk of extending to other countries) as a “temporary measure” until a consensus is reached on the new bases for the distribution of taxing powers with respect to the new business models derived from the Digital Economy. On 21 March 2018, the European Commission released a proposed directive on a common 3% DST on the gross revenue arising from the provision of certain digital services where the main value is created by user participation. 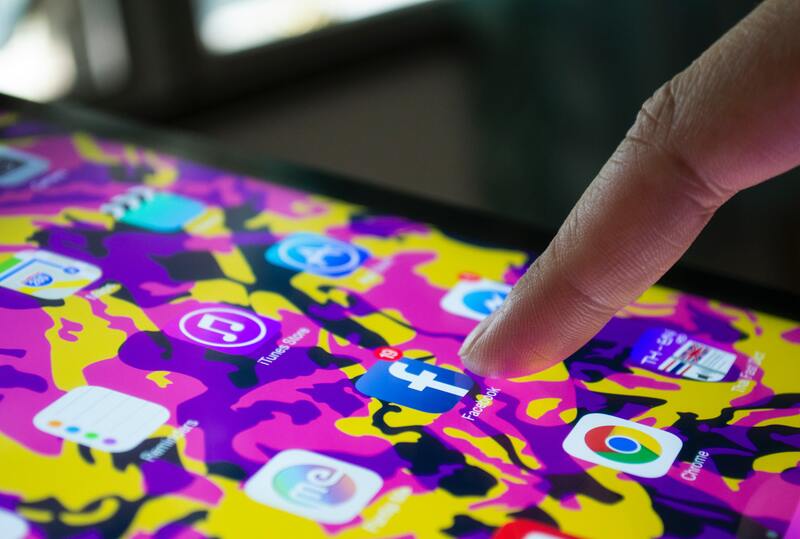 The commission’s proposal would apply to the online placement of advertising, the sale of collected user data and digital platforms that facilitate interaction between users that then can exchange goods and services directly via the platform. After talks on the proposed EU-wide DST reached an impasse, in December 2018, France and Germany presented a “light” version of the DST directive to the EU Economic and Financial Affairs Council (ECOFIN), under which only the online placement of advertising would fall within the scope of the tax. At the ECOFIN meeting on 12 March 2019, Ireland and the Nordic countries manage to block the approval of the DST at EU level. Instead, the EU countries agreed to work on a common position in order to reach a global consensus on the taxation of the Digital Economy. On 6 March 2019, the French Minister of Finance presented a proposal to introduce a digital services tax (DST) retroactively as from 1 January 2019, after the failure to adopt such a tax at the EU level. The newly proposed 3% French DST would apply to revenue derived from online placement of advertising and sale of collected user data, and intermediation services. The French DST would be applicable only to companies for which the relevant collected amounts during the calendar year cumulatively exceed EUR 750 million globally and EUR 25 million in France. Italy’s 2019 budget law, which was published in the official gazette on 31 December 2018 and generally applies as from 1 January 2019, introduces a new digital services tax (DST) to replace the DST that was proposed under the 2018 budget law but that never became effective. The new DST is a 3% tax on revenues derived from “digital services” and applies to all taxpayers (regardless of whether they are tax resident in Italy) with annual global turnover exceeding EUR 750 million and revenues from digital services rendered in Italy exceeding EUR 5.5 million. On 23 October 2018, the Spanish Government released a preliminary draft bill introducing a Digital Services Tax (DST). However, this proposal was finally rejected in the Parliament along with the draft 2019 Budget Bill. The proposal intended to be applicable as of 2019 as an indirect tax. The tax rate would have been 3%, applicable to gross income derived from certain digital services in which there is an essential user participation in the company’s value creation process. Austria’s Finance Minister Hartwig Loeger announced on March 15 his plans to introduce a 3% DST on advertising revenue from within Austria. On 18 February 2019, the New Zealand government announced that it will issue a discussion document for consultation in May on the introduction of a digital services tax (DST). The DST is targeted at multinational companies offering social media networks, trading platforms and online advertising in New Zealand. It is intended that a New Zealand DST be introduced as an interim measure until the OECD reaches a consensus. Estimates are that if a DST is set at a range of between 2% to 3% of digital revenues, it could raise between NZD 30 million to NZD 80 million, but this will depend on how the tax is designed. In a 20 March 2019 media release, the Australian Treasurer announced that the government would not proceed with an interim measure digital services tax. The announcement follows a consultation process from 2 October to 30 November 2018. On 10 January 2019, HM Revenue & Customs (HMRC) announced a profit diversion compliance facility (PDCF) to give multinationals using arrangements targeted by diverted profits tax (DPT) the opportunity to bring their UK tax affairs up to date. The facility is designed to encourage multinationals with arrangements that may fall within its scope to review the design and implementation of their transfer pricing policies, and use the facility to put forward a report with proposals to pay any additional tax, interest and, where applicable, penalties due. In doing so, multinationals can resolve uncertainty in an accelerated process without investigation from HMRC if a full and accurate disclosure is made. The facility gives unprompted penalty treatment if HMRC have not already started an investigation into profit diversion. HMRC has identified a list of several hundred high-risk taxpayers that it intends to investigate. Accompanying the launch of the PDCF, HMRC issued letters to some taxpayers on the list, highlighting the availability of the PDCF. Failure to respond appropriately to these letters is likely to result in an investigation. The PDCF principally is designed for MNEs with cross-border arrangements that present a risk of diverting profits from the UK. These arrangements typically involve entrepreneurial or residual profits accruing in a jurisdiction with a lower tax rate than the UK, with some link to UK sales or activity. Increased certainty for future years – The acceptance of the proposal by HMRC will provide low risk status going forward where the facts remain unchanged. 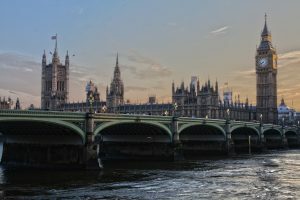 HMRC have compiled a list of businesses with arrangements that exhibit the risk indicators that HMRC consider present a high risk of diverted profits. HMRC are sending letters to some of the businesses on this list, asking these businesses how confident they are that DPT does not apply to them. Those businesses that receive a letter are told that if they do not register to use the PDCF within 90 days, HMRC may consider starting an investigation. The Spanish Tax Administration has published the guidelines for the tax audit plan for 2019, and the actions affecting the transfer prices of multinational groups will be particularly affected by the practical implementation of the measures approved in the OECD’s BEPS Project. Revision of the accurate attribution of profits to permanent establishments. On 6 December 2018, Germany’s Federal Ministry of Finance released a two-page circular with new administrative guidance that allows German taxpayers to justify a deviation from the arm’s length principle in intercompany transactions within the EU which are directly related to a “financial recovery measure” taken by the taxpayer to support the corporate group or a specific company within that group. This circular is the first administrative reaction in Germany to the European Court of Justice’s (ECJ’s) 31 May 2018 ruling in the Hornbach-Baumarkt case (C 382/16, Hornbach-Baumarkt). The court had ruled that one of the core German transfer pricing laws (sec. 1 of the German Foreign Tax Code (FTC)) must include an option for taxpayers to justify potential deviations from the arm’s length principle with “economic reasons”. The previous intra-group services and management/administrative services options have now been combined into a new “low value adding intra-group services” option. Specified countries criterion has been removed for all STPRK options. New de-minimis threshold for royalties, license fees and R&D arrangements: $AU500k. The turnover threshold to qualify for the small taxpayer option has been raised from AUD 25 million per annum to AUD 50 million per annum. The interest rate relevant to qualifying inbound loans has been altered, from no more than the Reserve Bank of Australia (RBA) indicator lending rate, to no more than 3.76% for the 2019 income year. The materiality option remains available where total international related-party dealings represent less than or equal to 2.5% of total turnover for the Australian economic group. However, a new test of having to have a total turnover of less than AUD 100 million has been introduced. More details on the information requirement related to import and/or export of goods carried out through international intermediaries (intermediary substance test). Further guidance on the methodology for the valuation of exports of commodities carried out through international intermediaries. The Brazilian Federal Revenue Department (RFB) published on January 29, 2019, Normative Instruction (NI) 1870/2019 amending NI 1312/12 on some aspects of transfer pricing rules, mainly related to import transactions and commodities. These amendments are effective as of calendar year 2019. The General Authority of Zakat and Tax (GAZT) in the Kingdom of Saudi Arabia (KSA) published on December 10, 2018, its draft Transfer Pricing By-Laws. The Transfer Pricing By-Laws introduce requirements for the OECD’s three-tiers of documentation —namely Master File, Local File and Country-by-Country (CbC) report — as well as an annual Disclosure Form for controlled transactions. The Polish Minister of Finance has approved a Decree of 21 December 2018 on the manner and procedure of double taxation elimination in case of adjustment of income of related entities with respect to the Corporate Income Tax which regulates the Mutual Agreement Procedure (“MAP”) in case of profitability adjustments. 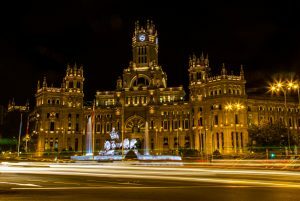 Spain’s Ministry of Finance has published draft regulations to adapt the CbCr regulations to the EU Council Directive 2016/881, of 25 May 2016, about the gathering of information by the Spanish subsidiaries from their foreign parent companies. Uruguay’s tax authorities on 4 January issued a resolution that confirms filing and notification deadlines regarding country-by-country (CbC) reporting. Resolution 94/2019 supplements legislation enacted in January 2017 and Decree 353/018, published in October 2018. On 29 March, TPS professionals acted as speakers in the Seminar organised by the Teruel Chamber of Commerce, Industry and Services under the title “Tax Regime of Transfer Pricing”, with the sponsorship of the Government of Aragon and the Caja Rural de Teruel. 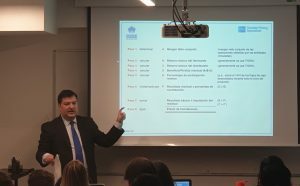 Antonio Pina, partner of TPS, has participated as a lecturer in the 2018/2019 edition of the International Master in Tax Advice (MIAF) of the Instituto Superior de Derecho y Economía (ISDE).